This game is infectious fun. It is easy to learn, fast moving and looks great. No science knowledge is needed to play. You must evolve, adapt, and outsmart to build the mightiest micro-organisms. 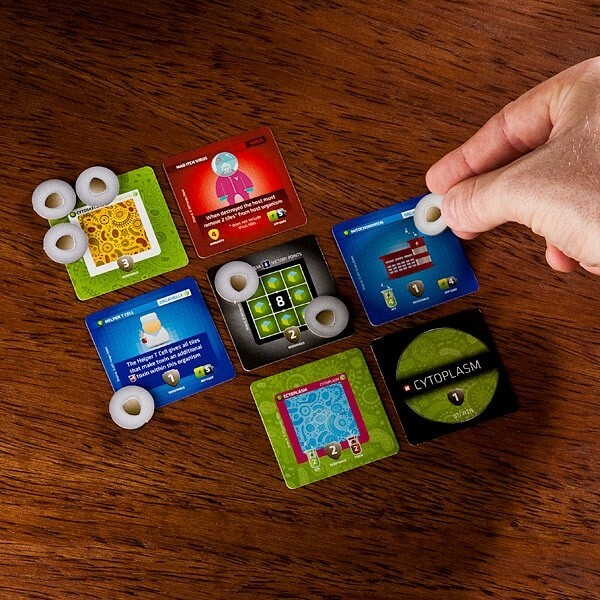 Use your resources to add powerful organelles, infect opponents with Viruses and harness Chain reactions to achieve big victory! 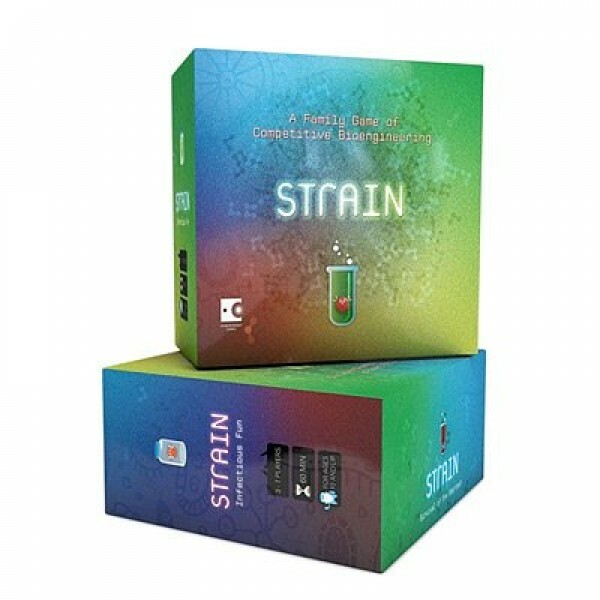 Contains everything needed to play Strain and start bioengineering.